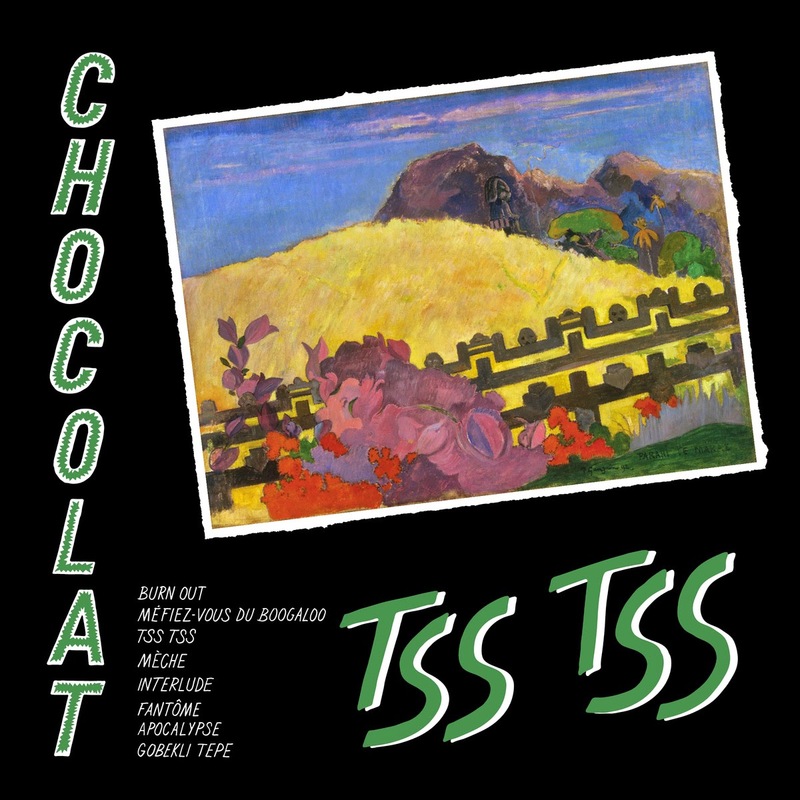 The second album for French Canadian band Chocolat, cryptically or jokingly called "Tss Tss", was released end of October this year via Montreal-based record label Grosse Boîte, and it's an utterly enjoyable affair throughout. 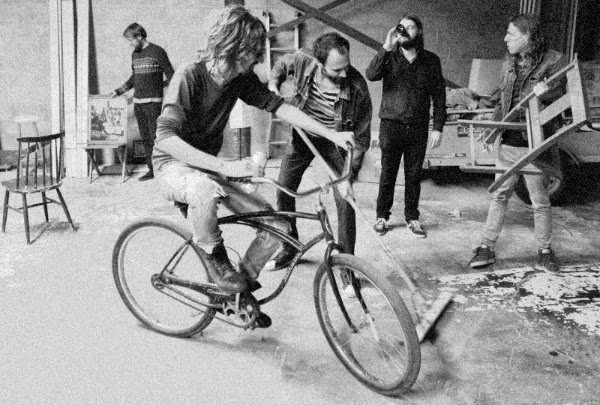 Chocolat has slowly disengaged itself from their unique garage punk sound (they toured with Ty Segall after all) to get closer to psych rock, and even flirting with prog here and there, while keeping their knack for direct melodies and powerful musicianship, this without pretentiousness or sterile virtuosity. Don't stop at their funny name and rather cheesy album cover, that record is a rock'n roll gem, and I might say this album counts as one of my most ecstatic discovery since "Elephants At The Door" by Italian duo Dumbo Gets Mad. Don't hesitate to dig up their earlier album "Piano élégant" (2008), dirtier, more like some disjointed blues rock, with it's share of excellent hooks and melodies, as well as their first seven tracks ep, simply called "EP" (2007), even dirtier, in the face, closer to garage punk it is. And you can even go further by looking for Chocolat's frontman solo albums. The guy's name is Jimmy Hunt, and despite his name, and just like in Chocolat's case, near all his songs are sung in French. I barely remember hearing French sounding as rock'n roll as this, somewhere between Jacques Dutronc at its wildest and a less mannered The Walkmen's Hamilton Leithauser. Jimmy Hunt's albums are released by Grosse Boîte as well. Check out his bandcamp page. Oh, and you can already stream Chocolat's album down here, you won't be disappointed.